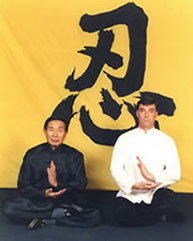 Professor of traditional Chinese Internal and External martial and therapeutic arts. and Inner Chamber Disciple of the Legendary Grandmaster Chee Kim Thong; Shaolin, China. Chinese International Games Gold Medallist, First World Invitational Tournament, Xian, 1985. 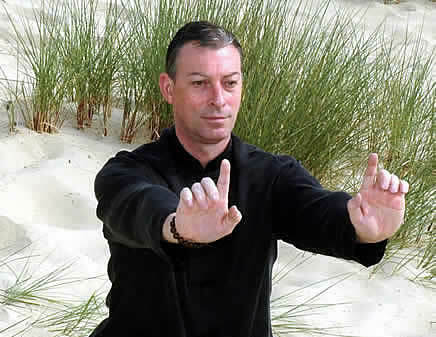 Founder Member of the British Council for Chinese Martial Arts (BCCMA). The only official governing body for Chinese martial arts in the United Kingdom, recognized by the British Sports Council. Doctor of Traditional Chinese Medicine (Advanced), Shanghai University, China. Graduate of Shanghai University of TCM and practitioner in the Shanghai No. 1 Peoples Hospital. Ru-Yi Quan, and Wuzuquan. He possesses a deep and complete knowledge of these ancient arts through the direct, personal tutelage of his renowned Master (please see below).